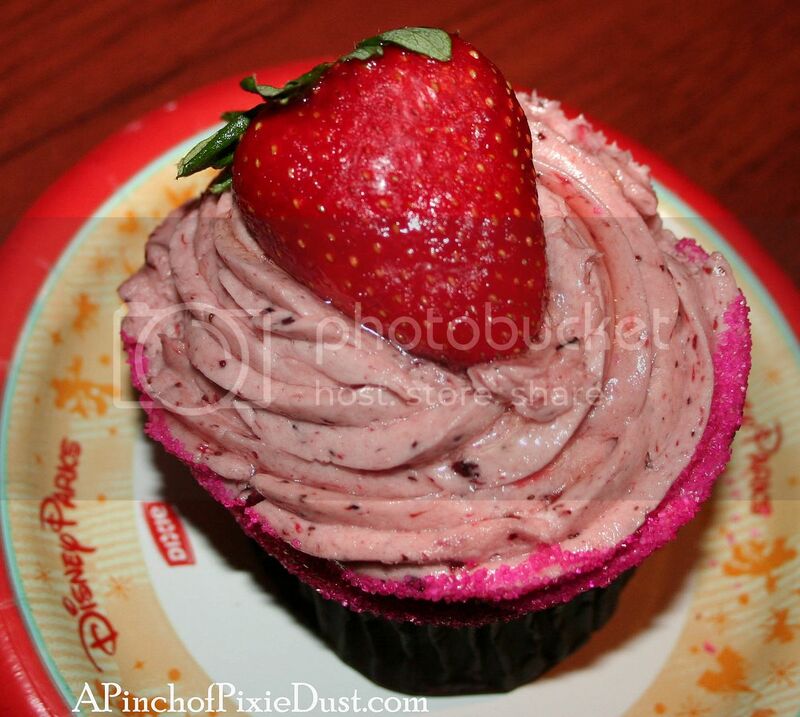 I've got another new Walt Disney World cupcake sighting (and virtual tasting!) for you all this Monday. 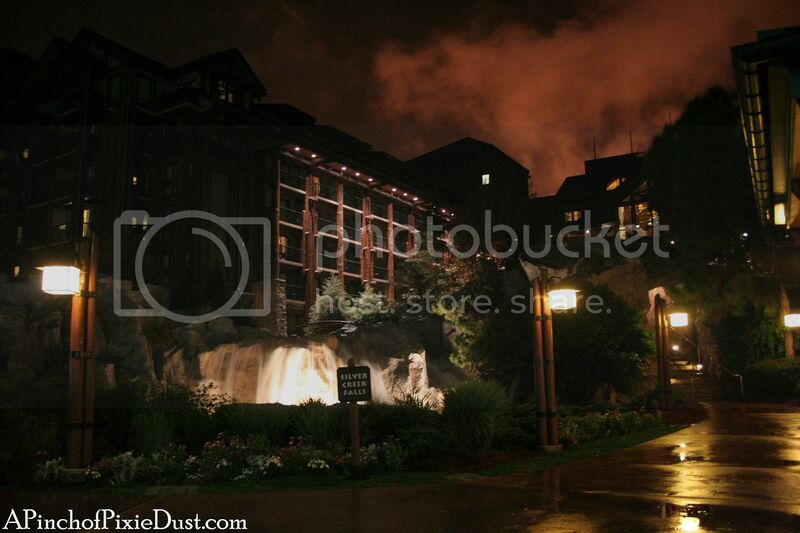 Last week it was minty green at the Boardwalk Bakery. This week it's strawberry pink! It's $4.19 and it's very large and very pink. 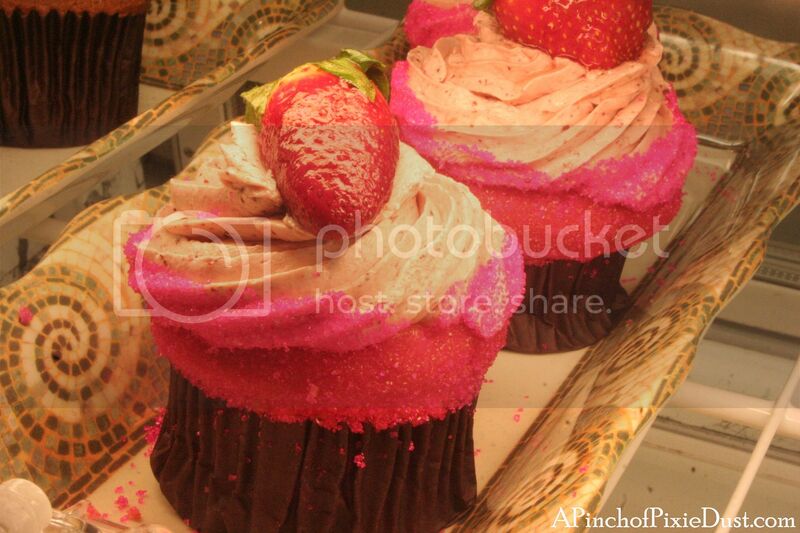 This is not a subtle cupcake. I mean, look at those sparkly sprinkles around the edge! It was so huge it was literally toppling over by the time I got it back to the room to eat. Just stay with me while I take a few photos, darling! 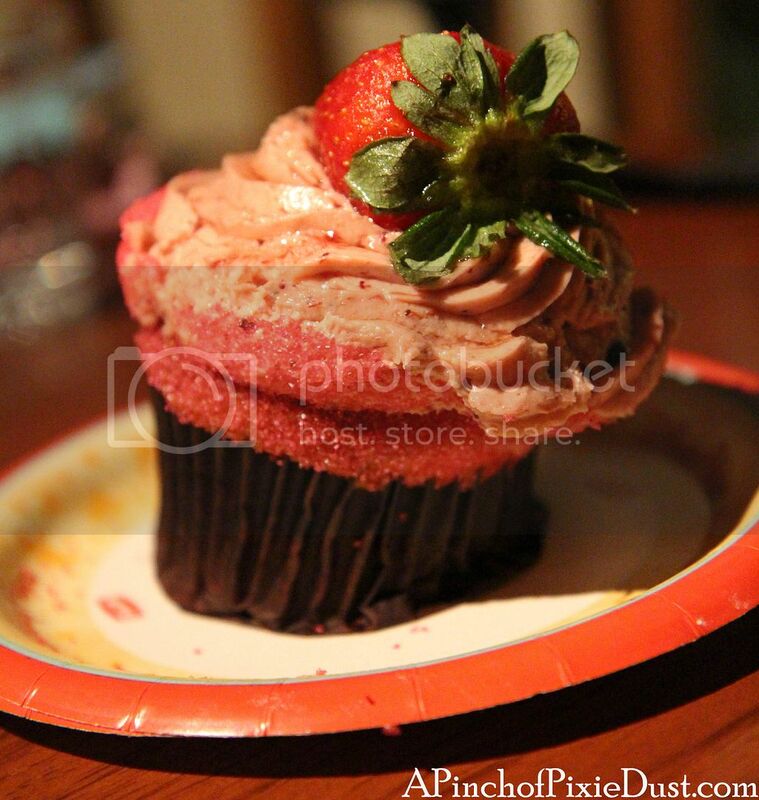 I'm happy to report that this cupcake tasted even better than it looked - the strawberry on top looked like it might have seen better days, but the icing was like fresh strawberries put in a blender with whipped cream. YUM. 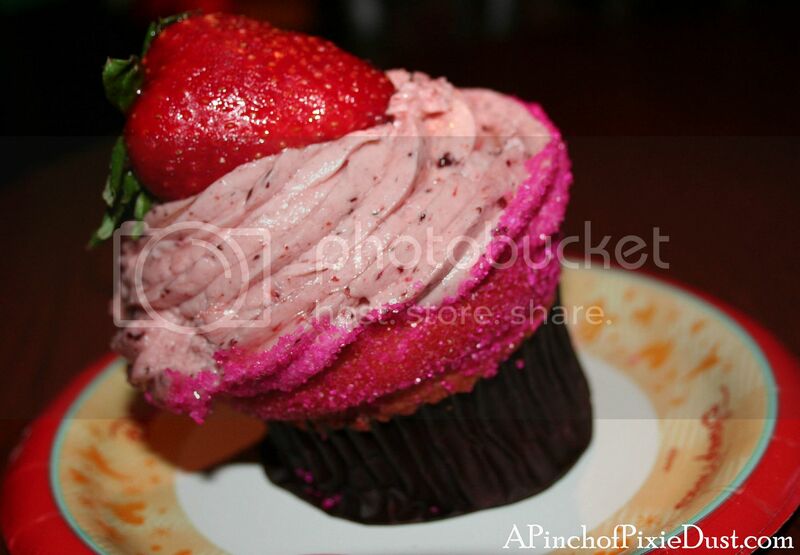 The cool thing about this cupcake is that it actually is strawberry cake. Sometimes Disney sneakily calls a cupcake a unique flavor, and then you only taste it in the icing or in a dab of filling, while the cake is just normal vanilla. 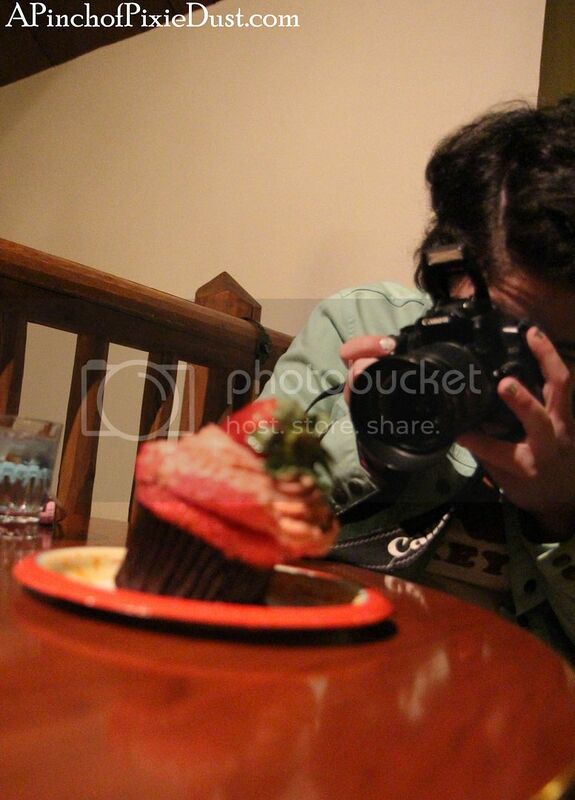 But this was a wonderful strawberry overload. I'm not a big lemon fan, but that lemon filling gave it just the perfect zest to go with the fruity cake and icing! 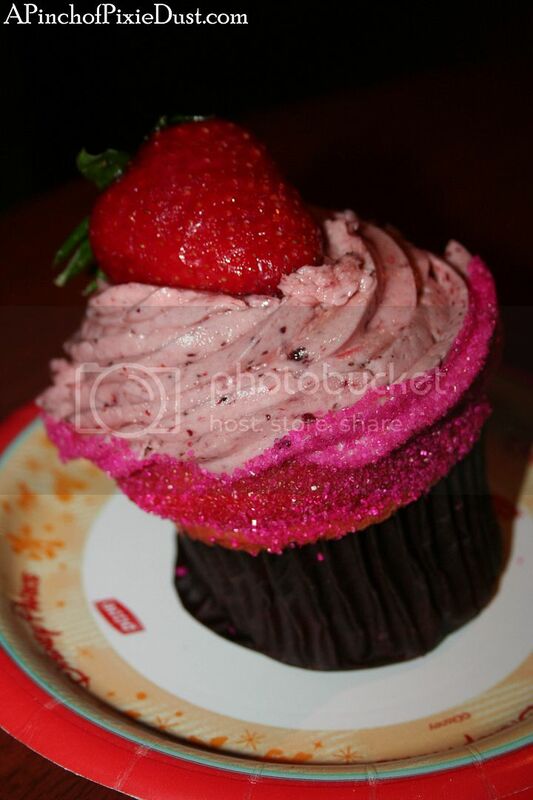 Will you be adding this to your Must Munch Disney Cupcake list? That looks really yummy! 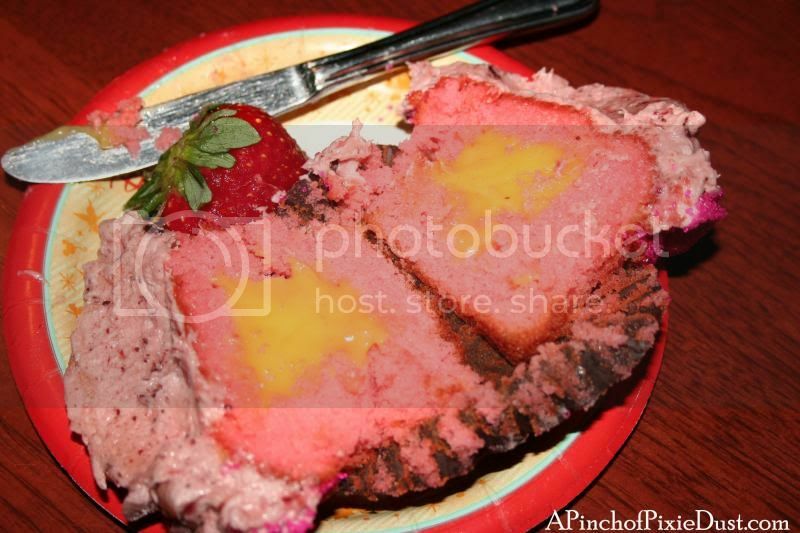 Usually I go for more chocolate cupcakes, but this actually looks like something I would enjoy!